The past outlook has focused largely on the Philippines so this is an opportunity to show an outlook with a global view but with from the perspective of a Filipino. I am honored to be presenting the views of my good friend, an expert in international investing, Mr. Jess Emerson Uy. One of my rule of thumbs is to never chase after performance. Whatever you see in the top 10 list may not perform as well in 2014 as these are all historical figures. There is a hint that there may still be spillover effects to the next year (2014) albeit at a much slower pace than 2013’s breakneck pace. Europe may still be an area that may still have some growth story but nobody really knows for sure. There is still some momentum for both USA and Europe although I suspect it will not beat 2013. The global economy is growing, which should influence investors to take on more risk instead of being “stuck” with guaranteed, or semi-guaranteed instruments. Cyclical markets including Asia ex Japan and Emerging Markets may rebound due to the positive spillover effects from strengthening global economies. Nonetheless, more “Tapering” is still possible although more investors have increasingly priced it into their investment decisions. The general positive outlook for 2014 will also encourage risk-taking, which should be a positive for riskier assets. A lot of talk has been swirling around interest rates for the past years as developed markets have reach historically low Interest rates. An upward change in direction of interest rates is unavoidable. This can be trouble for a lot of traditional bondholders due to the inverse relationship between bond prices and yields. However, there are still some actively managed pooled bond funds that can make money by managing currency, credit and interest-rate risks independently. Positioning defensively with shorter bond durations can mitigate interest rate risks. There is a possibility that we may see new market highs especially in developed markets as earnings continue to grow in 2014. If you are into pooled funds, selecting fund managers who are good in active management might be a good idea as good stock picking skills would be helpful in an environment where the market has already gone up significantly. If you like fixed income (bonds), selecting fund managers who have the flexibility to deliver performance from currency positioning, credit selection and sector allocation would be helpful. In general, the cyclical sector is likely to outperform the non-cyclical (defensive) sectors. Examples of cyclical stocks are those companies in the financial sector, consumer discretionary (travel and leisure, hotels, restaurants, airlines, retailers, media companies, consumer services companies, apparel companies, automobiles and components companies) and many more – those that does well when the economy is doing well. These are things that people can afford and willing to spend on when they have money and when they feel safer with their job security. These are also the same items that people cut down as soon as they feel insecure with their jobs or if an economic recession seems to be near. Food, power, water and gas are examples of non-cyclical or defensive stocks as they are “recession-proof” and provide a lot of stability in an investor’s portfolio. Whether the economy is doing well or not, people still need these things. 2013’s neglected markets like Asia ex Japan and Emerging Markets (particularly China) offer attractive valuations for long-term investors. Some of the worst performing funds in 2013 may also have a chance to recover nicely over the long-term. Although there are attractive valuations for Asia ex Japan and other Emerging Markets, I would encourage people to invest in a properly diversified investment portfolio according to their objectives, risk tolerance and timeframe. A properly diversified investment portfolio can help investors benefit from the upside of riskier assets while also enabling them to potentially buffer downside risks. 2. Asia ex Japan equities attractive for long-term investors: stronger growth in developed economies will provide a boost for Asian exports. However, caution is required as there are still risks in this sector. Developed markets may still rally in the short to medium term. 3. Single-country markets with a “very attractive” potential include China, Hong Kong and South Korea for medium to long-term investors. These are mostly geographies with lots of export related industries. Hong Kong in particular is the world’s largest re-export centre. 6. Patience is required for some South East Asian markets especially Indonesia and Thailand. These are typically markets that perform well over long-term but investors must be able to stomach the volatility due to natural disasters, political instability or other external factors. 9. Focus on companies with strong earnings and cash flows. The ability to grow in a slow economic recovery will be helpful especially if they can use their extra monies wisely when opportunities arise. There are lots of companies nowadays that are richer than their own countries’ governments. 10. Companies that can continue to innovate or have pricing power (or both) should perform well in this current environment. For those keen to review the highlights of global market’ performances in 2013, here is a short summary of selected markets, followed by a more detailed global overview for last year. 2008 was considered to be the worst financial crisis since the Great Depression in the 1930s and in the last 5 years, the developed markets have “printed” a lot of monies to help save their economies. It has not stopped yet but there are signs that the USA is starting to look into slowing down their money printing activities (quantitative easing) as their economy is improving bit by bit. Nonetheless, due to the massive amounts of money injected into the monetary system, investors from the developed markets had to find other places to put their monies other than their own countries which was already suffering heavily from the threat of the total collapse of large financial institutions, bank bailouts by national governments and the downward spiral of the stock markets around the world. The most logical choice for investors to aggressively grow their monies once the market rebounds is to buy into emerging market countries where even the blue chip stocks were beaten down significantly. It looks like a very smart move while waiting for their own countries’ economies to rebound. So what exactly happened in 2013? Well, the US economy has been showing signs of improvements and their stock market rallied significantly. In general, 2013 has been an excellent year for developed market equities to the detriment of emerging markets. Global investors from the developed world have started taking profits and pulling out their monies from the emerging markets and putting it back into their home countries. News of the USA initiating “tapering” or slowing down of “money printing” moved the markets while several emerging market currencies were also depreciating against the US Dollar. This would probably explain why the Philippine market dropped significantly from the May 2013 peak when foreign investors started selling their emerging market holdings. Out of the Top 10 funds ranked by performance for 2013, 50% of the list were composed of single country funds purely exposed to the USA followed by European equities taking 30% of the top 10 list namely Germany, Italy and Spain. 80% of the funds in the list are coming from developed markets. Middle Eastern Equities and Global Healthcare Equities were also able to crack the Top 10 best performing funds. Similarly for the bonds sector, out of the Top 10 funds ranked by performance for 2013, 50% of the list was also exposed to the USA followed by European bonds taking 30% of the top 10 list. The High Yield bonds dominated the list although investors should understand that high yield bonds are rated lower than investment grade bonds and have a higher risk of default. Nonetheless, due to the improving global economy, investors are willing to take more risks thus pushing up the high yield bond segment. High yield bonds are also known as “Junk Bonds” which typically offers higher coupons (interest) than investment grade bonds and these High Yield Bonds usually have shorter duration. Jess Uy is a Filipino investment expert based in Singapore. 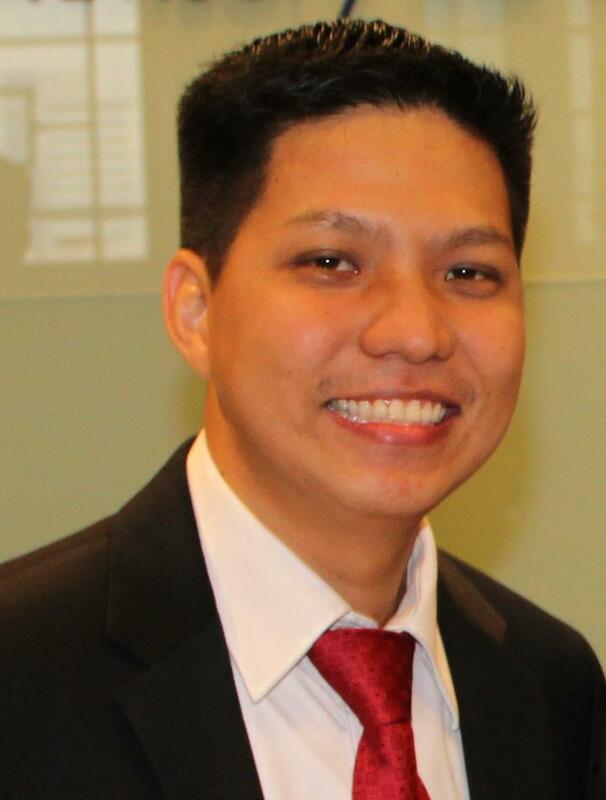 He is investment adviser not only to Filipino but for many expatriates in Singapore. He is considered as foremost expert in the arena of investing – ranging from banking, fund management, mutual funds, etc. His topic will delve on a proper process that you need before you invest and will give the participant an objective and yet insightful understanding on the do, don’ts, how’s and what’s of investing. He is a sought after resource for international investing and has appeared on TV, radio and other media.